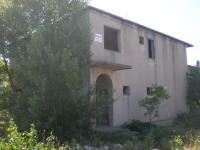 We offer for sale a comfortable apartment in Kakma, 5 km from the Biograd na Moru. The apartment is located in a quiet environment of family houses. Nice house in Biograd na Moru,100m from sea and close to jacht marina. FOR SALE NEAR THE BEACH HOUSE 150M. OPPORTUNITY TO BUILD ANOTHER INTERESTING APARTMENT ALSO FOR 'ACTIVITIES.